Thinking Of Getting Your Hair Coloured? Posted On August 27, 2018 by Team iCynosure. Love colouring your hair and want to turn into a diva? If yes, then you can grab fantastic deals on Schwarzkopf Palette only on Souq. With Schwarzkopf hair colour palette you will be able to change your hair colour permanently and also this seems perfect for you if you want to try a new look. Now, forget about grey or dull hair, just use these colour palettes and be a style statement. The Schwarzkopf Palette is exceptionally good and provides customers with a mind-blowing experience. You can avail more discounts using Souq deals of the day. 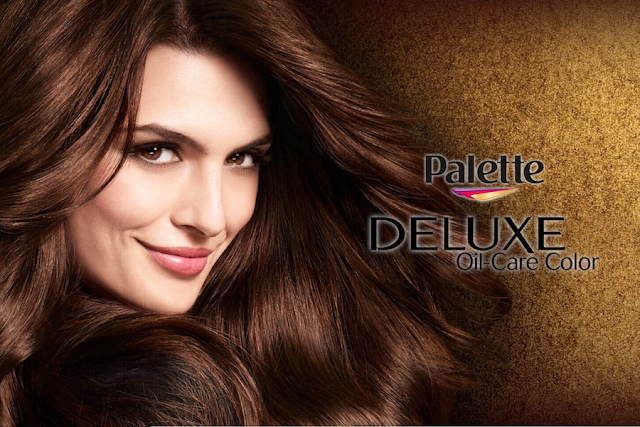 Read here to know more about top offers available on Schwarzkopf Palette. Palette offers customers a complete range of intensive, long lasting, sensuous or gentle caring natural colours which are in accordance to the latest trends and are specially made to help the customers in reviving their looks. So, if you want to look different and want to try something new then just visit Souq website and give these wonderful Schwarzkopf colour palettes a chance. Souq offers huge discounts on Schwarzkopf Palette. So, if you are looking forward to refreshing your hairstyle, you must grab the top deals present on these colour palettes. Some of the top deals available on Schwarzkopf Palette are provided below. This mid brown hair dye comes with 7 oils serum which gently nourishes your hair. After its application, your hair will become smoother than ever and also become shinier. This Schwarzkopf hair dye is available for just 23.39 AED after a discount of 15.61 AED. This intense hair colour gives you a long-lasting effect and perfectly covers grey hair. This dye is designed in such a way such that it goes deep in the hair, adding highly intensive colour which provides perfect radiance to your hair. You can get this beautiful hair colour at just 18.99 AED after a discount’. This intense oil care colour comes with 7 oils which provide your hair with the best ever nourishment. You can choose this hair colour for long and shimmering shine or glossy hair. This golden gloss cinnamon Schwarzkopf Palette is available just for 39.00 AED. There is no discount on this colour as it is already available at the best buy price. This golden caramel hair colour is a bit costly but is worth buying. A 50 ml colour bottle is available for 149.00 AED. This creamy mixture with highly effective colour pigments colours every part of your hair from the root to the tip. This hair colour is pretty easy to apply i.e. you just need to apply the colour precisely in the roots and the creamy texture lets the mixture to settle down in the hairs which basically avoids any spilling. There are plenty of options available in Schwarzkopf hair colour. You can purchase any of the colour as per your choice. Souq also offers free shipping and also ensures fast delivery to its customers. Before purchasing any of the Schwarzkopf Palettes, you can also read the customer’s reviews as it will provide you with a better idea of the colour. So, if you want to look different and are looking forward to trying something new, then don’t think and just visit Souq and purchase any of the unique and beautiful palettes. Looking to colour your hair? Then you should not miss the amazing offers available on Schwarzkopf Palette only on Souq. Check the colour options available that will give your hair a style statement and a mind-blowing look. I have heard a lot of great thinks about this brand.